Why is there so much suffering and evil in the world? Why does a loving, all-knowing and all-powerful God allow it? How can we find purpose, happiness, freedom, and fulfillment amidst despair? 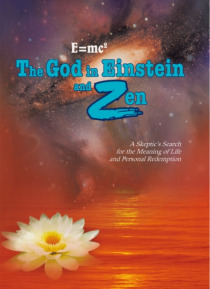 In The God in Einstein and Zen, author N.M. Reyes blends Albert Einsteins famed equation (E = mc2) with Zen thought to provide a profound and satisfying answer to the human condition and human purpose. A t… hought-provoking, grand sweep of history, philosophy, science, religion, and mysticism, The God in Einstein and Zen shows how Einsteins profound insights into the mystery of the universe and creation resonates in Zens view of reality and human existence. Reyes attempts to bridge the gap between science and mysticism through an unexplored path. Presented in simple, non-technical language, The God in Einstein and Zen takes a candid and fearless journey into the human condition. It provides the key to understanding lifes great mysteries such as the existence of God, human suffering, personal salvation, happiness, and human destiny.